1) What is the name of your character? Is he/she fictional or a historic person? Chris Martel is the fictional main character in my work-in-progress. 2) When and where is the story set? 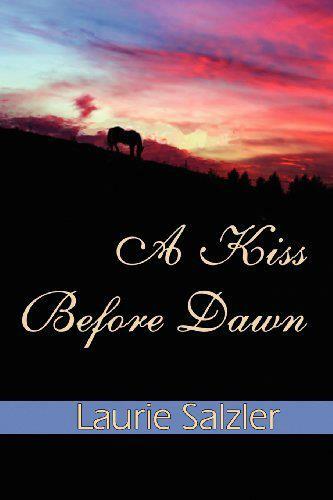 Since it’s the sequel to A Kiss Before Dawn it takes place present day in the Finger Lakes Region of New York State. 3) What should we know about him/her? Although Chris tells herself she’s recovered from a horrific assault, there are scars that still remain. The most obvious is the jagged one across her abdomen. One she sees and feels every day. Some days are more difficult than others, and when she finds out the woman who attacked her has been freed from prison, it becomes paramount she convinces everyone who cares about her, that she’s okay. Independent and with a farm to run, she focuses on the horses. 4) What is the main conflict? What messes up his/her life? Chris is very independent and with the exception of her dogs and horses, is used to being alone and running the barn by herself. When the farm work increases because of more stalls built and subsequent horses filling them, she’s forced to hire help. The additional person in the barn is something she has to get used to. 5) What is the personal goal of the character? Chris’s consummation is to care for the horses in her charge to the best of her ability. 6) Is there a working title for this novel, and can we read more about it? In the Stillness of Dawn Here’s the blurb: Fully recovered physically and emotionally from the near fatal assault, Chris Martel built a highly regarded reputation for Went Farm as a top-notch foaling farm. In fact the demand for stalls has necessitated the building of an addition onto the barn. More horses means more work. Under pressure from her partner, Mary Jo Cavanaugh and her Gram, Chris relents and eventually hires Mitch Jordan to assist with the additional load. When her mentor and employer, Doc Hall decides to retire, Mary Jo takes over the equine veterinary practice and inherits a huge clientele as well as all the problems associated with running it. Her days are spent in surgery and treating patients. The remaining hours of the day are spent tending to the business. The extra responsibilities and work load leaves her exhausted despite hiring an additional vet. Chris and Mary Jo feel the stress of their busy lives on their relationship. Mary Jo is too tired to do anything but fall into bed exhausted and Chris is missing her. Mitch is single, cute and exceptionally good with the horses. A fast friendship forms and eases some of Chris’s loneliness. But does Mitch want more? Does Chris? Chris finds herself questioning herself, her relationship and her morals. Is her commitment to Mary Jo strong enough to survive Chris’s doubts? 7) When can we expect the book to be published? It will be released early 2015. So there you have it. Now, I’d like to tag Marie Logan, Chris Paynter and Lynette Mae. This entry was posted in Uncategorized and tagged AJ Adaire, Jae. Bookmark the permalink. 1 Response to What a Character! This looks to be a fun and informative blog tour. AKBD was my favorite book, so hearing a sequel is coming out and a blurb so early is really exciting. Thanks for the insights on your new book, Laurie.